Beverages are very important to me, as a sipper and as a dietitian. Drink choices can make or break a day’s calorie intake, and help or hinder health goals. I’m always scanning the grocery store shelves for liquids that taste good and are nutritionally reasonable. 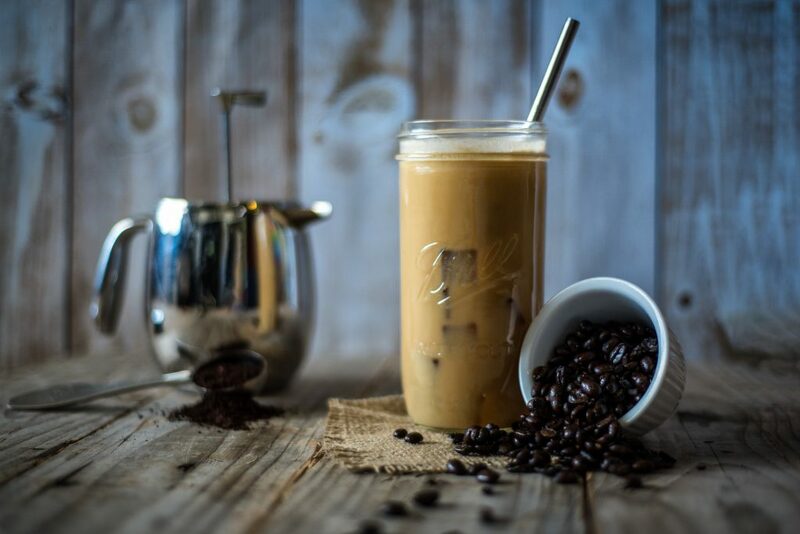 One item that’s gained popularity recently is bottled iced coffee. When I was doing my online grocery shopping this morning with ClickList my search for “cold brew” turned up no less than 18 results. 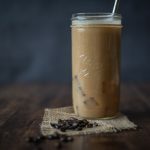 I bought some plain, black coffee a few weeks ago and started playing around with different additions of creaminess and sweetness until I hit on a refreshing, moderate calorie drink that tastes like a treat. A little fizzy afternoon pick-me-up without too much caffeine, too much sugar, or too many calories. Essentially, the perfect sip. It's pleasingly sweet with the maple syrup but also quite zippy and tasty without. If you leave out this sweetener you'll drop the calories from 60 per serving to 25. We should talk about fizzy water for a minute. For this recipe I used regular tap water carbonated by my SodaStream machine. So it’s just plain water. And while we’re on the subject, I’m a big fan of La Croix and making my own fizzy drinks at home with seltzer. But a few people lately have asked me if fizzy water is bad for you. Apparently the concern is that it negatively affects our teeth or bones. But from what I can find, this is only a problem if the water contains citric acid which is true for some flavored fizzy waters. But I’m not yet convinced. I still think calorie-free flavored fizzy drinks are a good alternative to pop, energy drinks, and the like. I’ll definitely let you know if I change my mind, but for now I’m still drinking the bubbly stuff on the regular. We should talk about non-dairy milks for a minute, too. My preference is always soy because of its nutrient profile and mouthfeel. It has more protein and fat than almond milk or rice milk, which I consider a good thing. It’s especially noticeable in a drink like this that really demands creaminess vs. wateriness. We should talk about cold brew for a minute, as well. 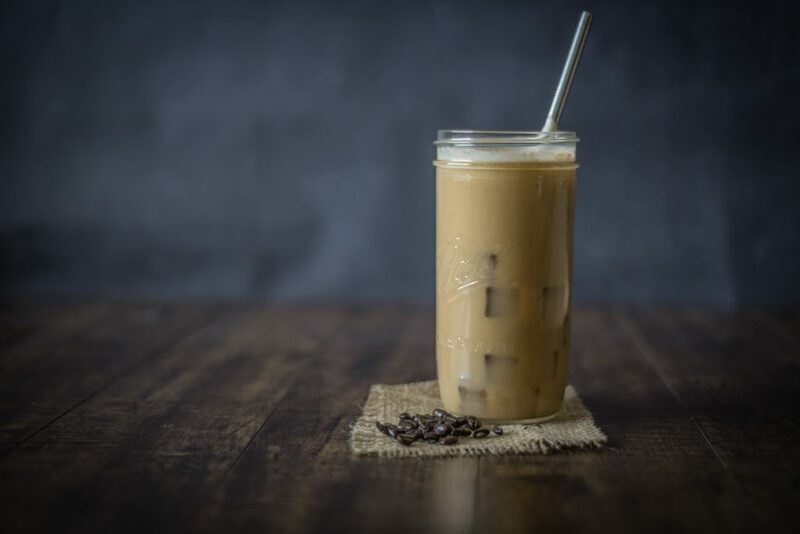 I recipe tested with Bowery Coffee Co. Cold Brew Original, but I think any basic black cold brew would do, including homemade. It would be cool to search out a local coffee company in your area to see if they’re bottling up the good stuff. There you have it. 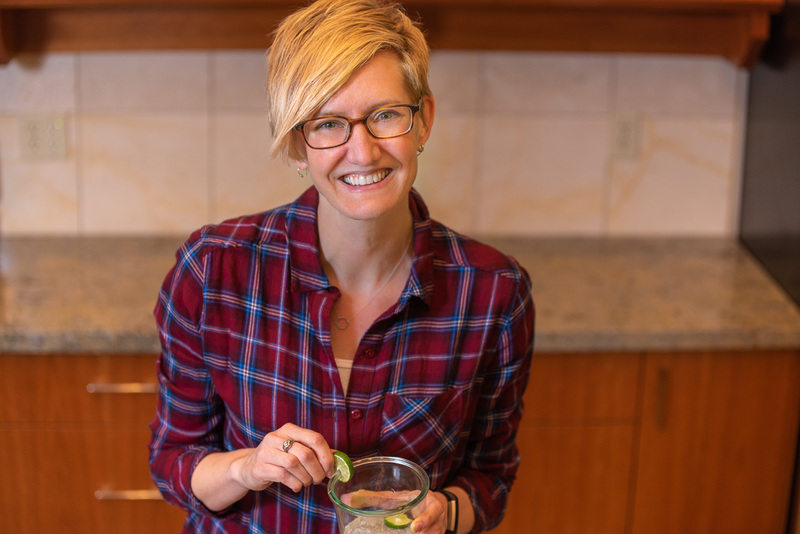 My latest recipe for a delicious drink with a mere 60 calories for a giant 18 fluid ounce serving (and just 25 if you leave out the maple syrup.) I hope you’re in the mood to try it. In the meantime I’ll keep scanning grocery store shelves and testing recipes so we can keep adding to the list. Do you have a favorite way to sip on coffee that doesn’t break the bank on calories?